Would your business survive if a significant event interrupted it? 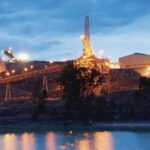 Recently published data by Whittle Consulting has shown that the application of ReCYN technology at the Martabe mine in Northern Sumatra, Indonesia, demonstrated a $US126.9 million ($177.3 million) upside to the company by adopting the technology. “The ReCYN process by GreenGold Technologies is a world-leading approach in cyanide recovery, metal recovery and tailings detoxification,” said authors Gerald Whittle and Jason Pan. 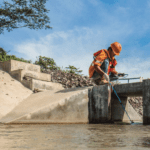 “Based on an innovative resin bead absorbant, ReCYN reduces cyanide consumption by 50 per cent, capturing free cyanide from the plant tailings and recycling it back into the leach circuit while recovering metal complexes and making them available for sale. The Indonesian GreenGold subsidiary is doing ongoing engineering for the mine in relation to the technology. For access to the full article, download the whitepaper below.